Imagine that some kid took your iPad and in the attempts to unlock it, the kid disabled the iPad. The situation will be very frustrating and it can be anyone who would disable your iPad mistakenly. Sometimes, even the owner gets confused and enters the wrong passcode multiple times which ultimately leads to disabling the iPad. Whatever the situation is, you will be locked out of your iPad unless you restore it one way or another. So, you must be trying to find an appropriate method on how to unlock iPad Mini. In this article, we will discuss the possibilities which would help you to bypass iPad Mini passcode so that it would become accessible again as soon as possible. Your problem can be fixed by a few simple techniques. So, try out the listed methods to bypass iPad Mini passcode and see which one would work out and gives access to your iPad Mini. Step 1. Get the latest version of iTunes on your computer and connect your iPad Mini with it. The device will be detected by iTunes automatically. Then iTunes will display the device icon on the top left side of the interface. Select the device from there and the iPad's details will appear in front of you. Step 2. In the next step, tap on the Summary tab and perform a backup of the iPad's data by tapping on the Backup option. When iTunes is done backing up your data, tap on the Restore option and all the settings will be reset to default and the entire data will be erased from the iTunes. If you have never synced your iPad with iTunes and your device is already disabled, then you will have to try another way to restore iPad Mini via iTunes. Luckily, iTunes has another way to bypass iPad Mini passcode when you have never synced your device with it. But you will have to follow a slightly different approach to restore iPad Mini. Step 1. At first, launch iTunes on your computer and connect your iPad Mini with it. Then, put your iPad Mini in Recovery mode. Press and hold the Home button and Power button at the same time and wait until the Apple logo appears on the screen. Step 2. 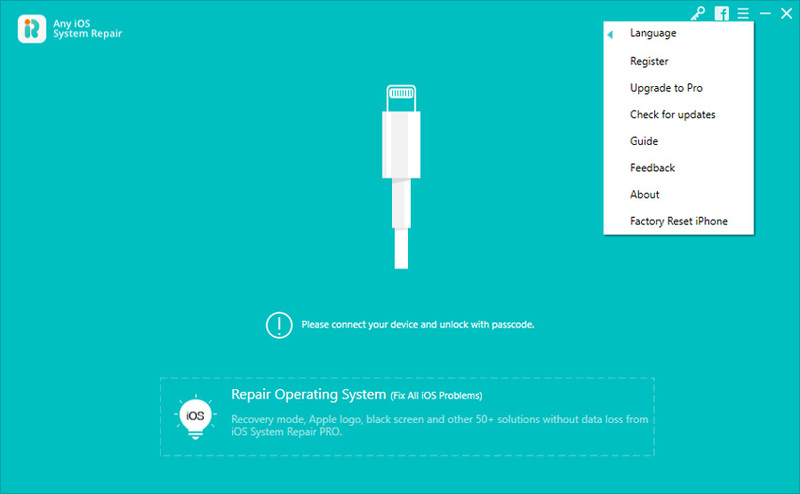 The iTunes will detect the iPad in recovery mode and will notify you that a device is trying to connect and you will have to restore it first before you are allowed to use it. Confirm the restore and the iPad will be reset entirely. The only drawback of this method is that you will end up losing all your data files which you haven't backed up on either iTunes or iCloud. Thus, it can be helpful to regain access to your iPad Mini but if you don't want to lose your data, then you will have to opt out some other method to unlock your iPad Mini. Step 1. After downloading and installing the tool, launch it and connect your iPad Mini. The software will automatically detect the device. From the main interface, you will have to choose the repair operating system function. Step 2. When you start the process, your iPad will be put in recovery mode and prompted to download and import the firmware package. If you already have the IPSW file then you can directly import the file from your computer to skip the downloading process. Step 3. Once you have the firmware package, you can start the repair of the operating system. The ongoing process can be seen within the software interface. When the process finishes, the iPad will reboot on its own and you won't require any passcode to access it. An additional benefit is that you will get all your data back safely. Now you know what to do if you have forgotten iPad Mini passcode. Using Any iOS System Repair will surely help you fix any kind of working problem in your iOS devices without any data loss. The software offers 100% surety that it will help to resolve all issues in iPhone/iPad and iPod.